Thanks to a broken computer and a lost flash drive, I thought this was lost forever. Fortunately, I found that I had uploaded everything to my old computer. Now, almost a year later, here it is: my account of the 2017 total solar eclipse. This week marked a very special event, one that had not hit the United States in almost 100 years. What was it? A total solar eclipse that was visible from coast to coast. If that weren't enough, this was the first total solar eclipse to hit the mainland United States since 1979. The last coast to coast eclipse? That was back in 1918. The next total solar eclipse that will hit some of the mainland will come on Monday, April 8, 2024. The next coast to coast event? That will not take place until 2099, which means that,. Barring considerable advances in medical technology, very few people reading this article in 2017 will be alive when the next coast to coast eclipse takes place. From here on is my personal account of the August 21, 2017 total solar eclipse, dubbed the Great American Eclipse, by the media. 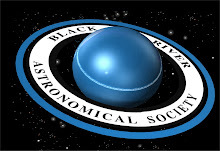 Members of the astronomical society that I have belonged to since the start of my senior year in high school, the Black River Astronomical Society, had been planning a trip to witness the total solar eclipse of 2017 roughly a year in advance. Realizing the rarity of such an event (the last total eclipse had not touched the mainland U.S. since well before I was born), I was quick to get on the list for would-be travelers, work be damned. Fast forward almost a year. My old place of employment (for 9+ years) had just shut down, but I was fortunate to land with another company that was very generous with the vacation, to the tune of 3 work weeks of 40 hours, for first year employees. Not that it would have mattered (I would have called off if my vacation had not gotten approved) anyway, but, since my vacation got approved, I knew that I would be getting paid to watch the astronomical event of my lifetime, save the 2012 transit of Venus. Free from work for the week (my vacation was approved way back in the spring), I knew that the weather was going to be the only question mark. Leaving for Elizabethtown, Kentucky, which was meant to be the club's base camp, if you will, things were worrying as there was lots of cloud cover as we traveled down through Ohio on US Interstate 71, which took us through Columbus and Cincinnati. The good news came in Kentucky as the cloud cover melted away as if my magic. Unfortunately, traffic replaced the clouds. Fortunately, we all made it to Elizabethtown about 6pm, everyone close enough to make an impromptu club meeting to discuss viewing plans. Two camps quickly emerged. On one side was the opinion of getting breakfast at 6am (when the hotel dining room opened), and leaving about 7am. On the other side: getting on the road ASAP, namely before 6am, for the sole purpose of beating the traffic. I was of the latter opinion and my travel group was on the road by 5:40am with a predicted arrival at our viewing site around 7:15am.. On the way, there was a time change around the Kentucky-Tennessee border, which took us from Eastern to Central time, and booted us back an hour.. No matter, it's better to twiddle one's thumbs for a few hours than it is to be caught in traffic and/or be scrambling to find an emergency observing site at the last minute. End result: our hour and a half drive took a half hour thanks to the time change, which meant that we arrived at our 'Plan B' observing site, a Walmart parking lot in White House, TN, around 6:15am. Walmart at arrival, the crowd will grow considerably! There were a lot of people already at the White House Walmart when we arrived at around 6:15am (we lost an hour thanks to the time change). Still, though, there were a lot of empty parking spaces for early morning arrivals toward the back of the parking lot. Going in to get something to drink, I was surprised to find eclipse-themed merchandise. I bought a shirt, hat, glass, and shot glass but passed on the eclipse-themed cakes. I noticed that I wasn't the only one taking pictures of the cakes, either. Exiting the store, there was a huge variety in where everyone was from, as the license plates indicated. There were even people from Canada. Eclipse merchandise was a hit with the eager crowd. The atmosphere during the wait was one akin to a giant tail gate party. There were even some people cooking on small charcoal grills behind their vehicles. Walmart was expecting a crowd as I heard the conversation between the cashier and a guy in front of me in the line. She said that the store had been getting calls from people asking if it was okay if they parked overnight in the lot for the eve of the eclipse. The store had also brought out old merchandise dump bins on pallets in order to act as improvised trash cans. Needless to say with its own lot and all the surrounding lots (mostly restaraunts and specialty stores) full, Walmart did a lot of business that day. And so it went, talking with the other eclipse chasers and making an occasional run into the store. On my last trip in at about 11:30am, an announcement came over the speaker announcing that the store would be closed from 12:50pm to 1:50pm, half an hour on either side of totality (1:28pm local time). For a company that has such a bad reputation in regards to how it treats its workers, a hats off to management at the White House store for closing so that the employees could watch totality. As noon and first contact, set for 11:58am local time, approached, I started experimenting with camera settings as I had brought my Nikon D700 with me along with my 200mm f4 micro manual focus lens. The best part about this lens was the fact that, unlike a lot of newer lenses where infinity is not quite infinity, infinity focus is truly infinity on this lens, which makes it ideal for astrophotography. Eventually, I got my settings down on the un-eclipsed Sun, which meant t hat the only thing to do for the final 15 minutes or so was wait. As 11:58am neared, I was looking through the club's solar filtered scope a lot. I first noticed a tiny bite out of the Sun about noon, at which point I snapped my first picture. The plan was to take pictures every 10 minutes from there on until about 10 before totality, at which point I would start snapping in more rapid succession. As the time ticked away, I kept to my 10 minute intervals for taking pictures while bouncing back and forth between the eclipse glasses and the solar scope. This was my first total solar eclipse, so I didn't know what to expect. One thing that surprised me was the fact that it was not until about 30 minutes before totality that there was even the slightest dip in the Sun's brightness. At about the same time, the amount of traffic dropped off considerably. By 15 minutes to totality, the Sun was noticeably dimmer and the temperature, probably in the mid 90s, started to get a little cooler. It was only now that I had to adjust my shutter speed, dropping from 1/1600th second to 1/1250th. By the time of my last pre-totality shot when there was just a tiny sliver of the Sun left, I was down to 1/200th. The last 10 minutes before totality were when things really started to happen. At about 10 minutes to go, the lights on the storefronts' signs started to come on, as did some of the parking lot lights. In anticipation of the lights, we had moved from our parking spot, which was virtually right under a light, to a wide open field that was about 5 feet higher in elevation relative to the parking lot at about 30 minutes to totality. The scope went too. At about this time, 10 minutes to go, traffic virtually disappeared from the roads as the Sun's brightness began to rapidly drop. As the Sun's brightness dropped, the temperature really began to tumble, bottoming out at what I'd guess was the upper 70s at totality. At about the same time that the temperature began to really drop, a breeze started to blow. In the last 5 minutes before totality, it seemed as though the Sun was on a dimmer switch. It was then that the brighter stars and planets became visible. The breeze died down and the whole world seemed to come to a standstill, save the Moon creeping its final few degrees across the solar disc. Everyone's gaze was now firmly glued to the Sun. By now, shadows (at least those originating from the Sun), had disappeared. In these final moments before totality, I got my pocket Olympus out and into movie mode as I wanted to get a quick 360 degree panorama of the site as well as the Sun's return after totality. With one final flash that was the famous 'diamond ring', the Sun disappeared behind the Moon and the solar corona, the Sun's outermost atmosphere, became visible. The sudden drop in brightness was as though the Sun had been shut off with a switch. There was a huge roar and lots of applause from the assembled crowd. Everyone's solar glasses came off now as it was now safe to look at the Sun without eye protection. Totality was surreal. It was as dark as about half way between sunset and the arrival of true dark. The weird part was that the darkest area of sky was straight up, where the eclipsed Sun was. The sky got brighter as one got closer to the horizon. The world seemed to stop as everyone's eyes were glued on the Sun. You could hear the proverbial pin drop. Taking my pocket camera, I quickly got a 360 degree panorama of the area then popped off a few pictures of the totally eclipsed Sun with my Nikon before turning my gaze back up to the Sun. This being my first eclipse (and with totality only lasting 2 minutes and 40 seconds), I didn't want to get too caught up with the camera, preferring to just take in the experience. The countdown at 10 minute intervals until just before totality. I played with shutter speed at totality to get different effects. Notice the prominences in the last totality image. Eventually, I noticed that the sky on the right side of the Sun appeared to be getting brighter. Knowing that totality was about to end, I got my pocket camera and started shooting video again, catching about the last 10 seconds of totality and the reemergence of the Sun. Like when it disappeared, there was a roar and applause from the crowd. As was the case at the start of totality, the change in brightness from totality to a sliver of the Sun being visible was dramatic. My video does a very good job of capturing the change in brightness. Totality over, a lot of people, at least half of everyone at Walmart, immediately got in their cars and started for the road. We had long since decided to stay for the complete event and avoid the mad dash out of the parking lot. The gridlock lasted for about 45 minutes. As the eclipse wound down, I kept shooting every 10- minutes, with my last picture coming at around 2:50pm. By the time we hit the road the side streets were clear, a good sign, we hoped. Long story short, it took 5 hours to make the same drive back to Elizabethtown. The traffic was absolutely horrible.. Thanks to GPS, though, we were able to get off the main roads and take the scenic route back for most of the trip and thus avoid the worst of the congestion, though there was still some even on back country roads. By the time we were approaching Elizabethtown, the congestion got really bad again as this was the only city of appreciable size for some distance in every direction Being a decent size city meant that there were a lot of hotels, which were quickly filling up as people (like us) who had expected to stay only one night were now having to stay an extra one thanks to the slow traffic. Fortunately, we were able to find vacancies at places that weren't price gouging. Before the eclipse, there were stories of hotels charging $1,000+ per night and requiring minimum 3 night stays! The next morning, I turned on the local news and discovered part of the reason for why the traffic was so bad. Some lady trucker from California lost her marbles, called 911, said that she was being truck-jacked by an armed man who was forcing her to drive him to some unknown destination in a truck that was hauling explosives. None of it was true as there was no kidnapper and the truck was carrying books. What was real enough was the fact that she crashed the truck into a concrete barrier under a bridge somewhere on US Highway 65, which was the road we had intended to take back and through Elizabethtown (it was the road on which we drove to Walmart, too). Not being familiar with Kentucky, I had no idea what township she crashed in but it had to have been close because the GPS was showing gridlock on I65 to a point not that far North of Elizabethtown. . . The good news was that it was clear sailing for the most part on the drive back Tuesday morning with only the expected rush hour slowdowns. We had left before 6am again so as to beat the rush in Louisville, skirt Cincinnati on the outerbelt at the tail end of it, and miss it by a mile by the time we hit Columbus. All in all, I was back home about 1:30pm. The first order of business: get the pictures off my cameras and onto my computer. And speaking of pictures, here they are, enjoy..
All in all, The Great American Eclipse brought the coolest 2 minutes and 40 seconds of my life. Didn't get the chance to see it first hand? Well, another total solar eclipse, this one lasting about 4 ½ minutes, will be crossing the United States on Monday, April 8, 2024. The path of totality will start in Texas and come up diagonally through Niagara Falls and then up into Canada.